The Frenchman and I recently fled the city to visit a friend who is finishing her PhD on Long Island. For the year, she is renting an impossibly charming cottage with overgrown woods to its back. A crescent stone wall encloses a slate patio, bursting at the seams with fanning dandelion greens. There is space enough to enjoy the working fire pit. To the front, a covered, wrap around porch gives way to a flagged path, gives way to a gravel drive, gives way to a bay strewn with boats. At low tide, they cant like children napping in the car. The air smells of wet piles, of salt-licked weeds, of secret bivalves buried in the silt. The house is small, but windowed on all sides, so that even on the rainy day we visited, gossamer light followed us from room to room. The kitchen, my favorite place in any home, occupies a solid third of the cottage. The sink is a deep, ceramic basin the likes of which I’m determined to one day posses myself. Beside it, a sliding glass door opens to the porch where a grill awaits usage. My friend will plant breakfast radishes in the wild yard beyond. For as long as I’ve known her, and certainly before my own interest in food developed, my friend has approached eating with marked sophistication and clarity of purpose. She knew what it meant to eat seasonally before the term ‘locavore’ entered the national lexicon. She realized young that it was better to enjoy a pat of excellent butter than to be less satisfied with the same quantity of margarine. At sixteen, I wasn’t ready to accept her stance that obsessing over calories was doltish, and that it was far better to focus on quality ingredients instead. Nonetheless, her views impacted me, as did her mother’s cooking. I had my first panna cotta by her hand, and in the romance of memory I think it’s still the best panna cotta I’ve ever tasted. It was so thoroughly cold, at once densely creamy and bright in its sourness. Some weekend mornings she made buckwheat pancakes and they were browned and complexly nutty. We covered them in seedy raspberry jam. These small recollections remind me how much I had to learn from my friend’s mother. It’s one thing to purchase quality ingredients, and then another to have the skills to prepare them. But it’s a different animal entirely, a far more intricate and subtle thing, to understand contrast on the plate as much as she did. She considered the balance of color, texture, and flavor in order to heighten the pleasure of eating. So last weekend the Frenchman and I took the train to Long Island to visit my friend. I volunteered to cook dinner and she volunteered to make cocktails. It should not have surprised me that she crafted her cocktails with at least as much thought to detail as I did to dinner. I roasted potatoes while she froze ice cubes in a muffin tin. I mixed spices for lamb burgers, and she simmered rhubarb in water and sugar. While I was slicing radishes, she plucked herbs from the planter on her porch. She concocted the most delicious drink for me–sweet with homemade fruit syrup, tangy at the finish from drinking vinegar. It was very pretty too, the palest blush pink against the green of suspended basil leaves. What’s more, it was a drink that exhibited a keen understanding of balance. I really need to ask for the recipe. 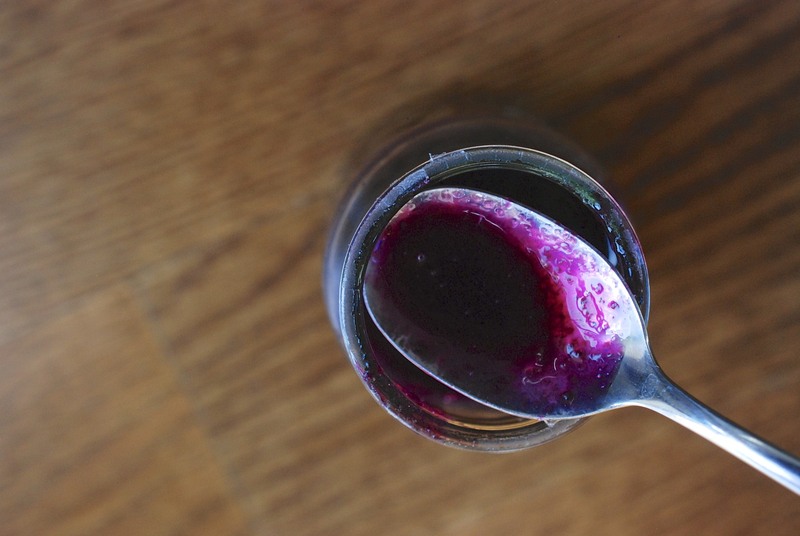 Fruit syrups are ridiculously easy to make, and serve endless purposes. 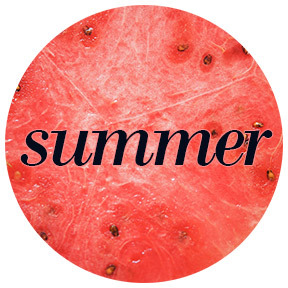 Here’s how to do it: deposit 4 parts fruit: 2 parts sugar: 1 part water into a pot. Simmer for a good long while, until the fruit is softened almost to the point of a compote. Strain out the fruit, and keep the liquid. You can store it in the fridge and use it all week. You can use almost any fruit you can think of. If you are baking pies, save apple or pear skins and cores for syrup-making. (The addition of a pinch of cinnamon and nutmeg will yield a hot toddy to remember.) Fresh herbs are your friend. Thyme, basil, and bay leaves pair well with fruit. The same goes with spices. Be creative and customize your syrups. Citrus syrups, perhaps more that other fruits, are well suited to both sweet or savory applications. 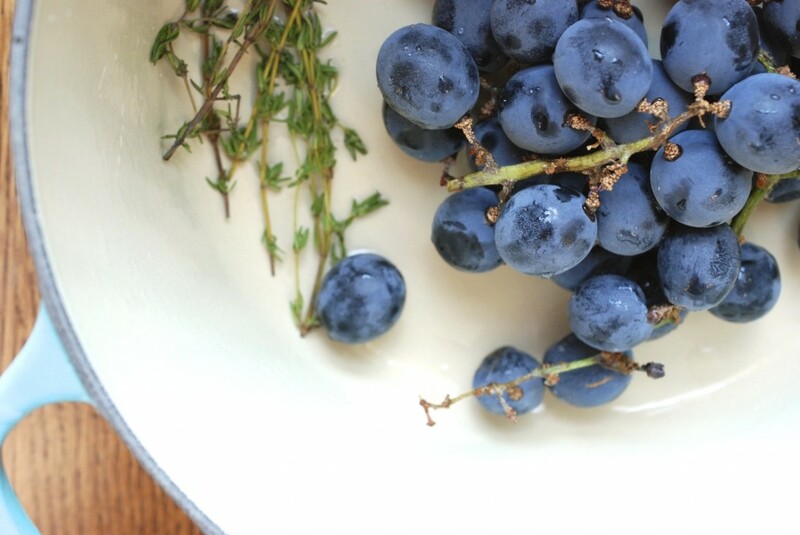 As you’ll see from the pictures, I made a syrup with grapes and thyme, which is why it’s such a dark purple. 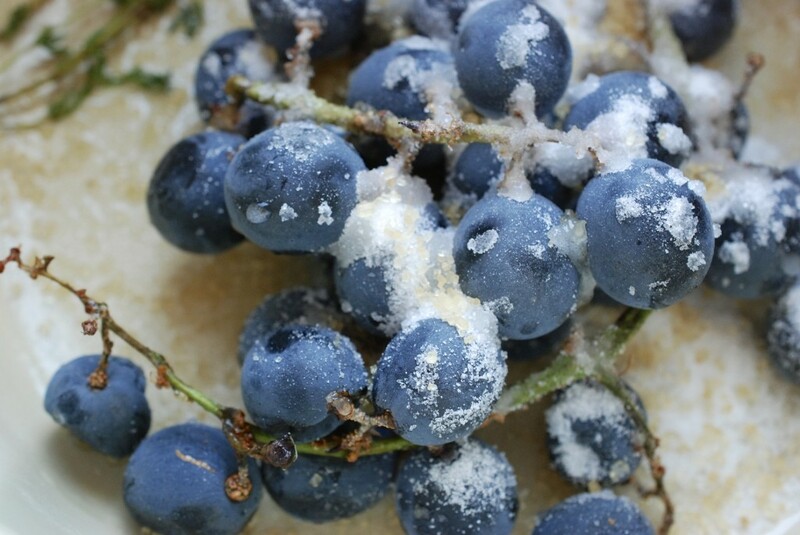 Depending on the fruit you use, the color will vary from completely clear to quite opaque. This is simply not fair! Beautiful writing about my amazing friends. My heart is heavy knowing I missed another dinner with you two. Thank you for sharing this so I could walk myself through your enchanted evening. Love to you both. Thank you for sharing this lovely story and helpful recipe. I was searching for a simple recipe to make a fruit syrup, and you have opened a world of ideas for me. Peace and happy cooking to you. Hi! Thanks for sharing this recipe! Do you/ your friend happen to know how to make fruit syrup from oranges? Like do i boil just the insides/squeezed juice or do I include the orange skin as well then just strain it later on? Hope you can help me.. thanks!! Hi Mia, To make orange syrup, I would combine freshly squeezed orange juice with sugar in a pot. I’d probably use a ratio of 4:1 or 3:1, freshly squeezed orange juice:sugar, depending on the sweetness of your oranges, and your own preferences. If you’d like, float a few peel-on slices of oranges in the pot. Stir the sugar into the juice, and bring the pot to a simmer. Allow it to bubble down for a while, until you are happy with the thickness of the syrup. Strain out any slices, peel, or seeds, and voila! I am really curious about the drink made with fruit syrup and a drinking vinegar. I have recently become interested in “shrubs”, which I believe are fruit and vinegar concoctions that were used to make mixed drinks in the last century in the U.S. I wonder if there’s a similar tradition in France? If there is any way you could share the drink recipe I would so appreciate it! Hi Yana, I am not aware of a French version of a shrub. Is there a specific vinegar, fruit, or liquor you have in mind? My suggestion would be to play around with the flavors you already like, and create your own recipe. This is awesome. Thank you! I tried the strawberry and mango today and I can’t wait to make more. Mine came out thin but I din’t put the second part of sugar in it but it’s still very sweet and delicious. I was making this to sweeten my Kefir and it works great. I cant wait to make more and hand out for Christmas! Now off to the market for more fruit!! Thank you!!! Thanks, Jennifer, that’s a great link! And yes, Christina, I do like to experiment on my own and have been making a wide variety of syrups and infusions with various berries (and some blossoms), I was just intrigued by the above example of a “well balanced drink” using “drinking vinegar” since my own concoctions so far have been too vinegary for my taste. So yes, I will keep trying different combinations and thanks again for the link, seems like a good starting point for experimentation! Wonderful post, and I love the way you write about food. I’ve been away from my kitchen (and my blog) for a while, but I’m clearing out the freezer and looking for various ways to use everything up. Although I know frozen isn’t ideal, I’m looking forward to giving this a try with some peaches I put up over the summer, and I love the idea of using peelings, etc. – will definitely put that to work in the future. Thanks so much for the inspiration, and please cross your fingers for me. Pancakes tomorrow! 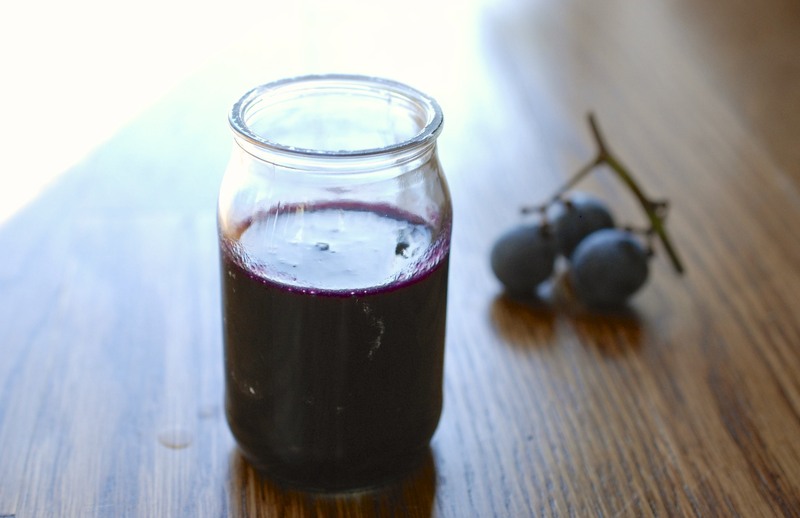 Can I be lazy and skip a few steps by juicing my grapes with an electric juicer? How does that change the recipe?? I’ve never tried that, but I don’t see why not; as long as you cook the juice down to a syrup, I don’t anticipate a problem. Let me know how it works out! Do you have to add any thickener like pectin or cornstarch? I normally do not. If you stew the syrup for long enough, it shouldn’t be a problem. Although a thickener would certainly speed up the process. Can I process it like jam to store? I’m messing with Raspberries. Hi Ruth, I don’t know enough about canning to advise. So sorry! Love this 4-2-1 recipe! I don’t use it in cocktails as I don’t drink, but I do use it in all the other ways than are suggested. I realise this is almost two years after the last post – but based on my previous experiments in making fruit syrups – DON’T use pectin. It will taste just fine, but will have a mouth feel like jelly or jam that didn’t set up. I first stumbled on this recipe three years ago after 5 or 6 years of experimentation. Personally, I don’t strain out the fruit. I just can it in jelly or pint jars. In fact, I have a pot of wild blackberry syrup simmering on the stove as I write this. Thank you so much for sharing this recipe. It gives me the syrup. I’d been trying to achieve . Everyone loves it. Thanks, Sharron! I’m so glad the formula works for you. 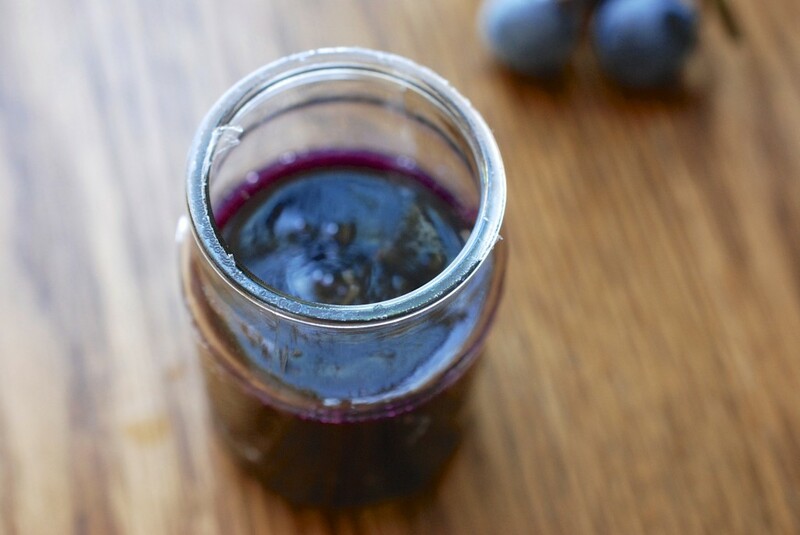 Especially in the summer, I love using fruit syrups + club soda to make my own “soda” at home! This read was very encouraging to me, thank you. Thanks for the info! This is absolutely so helpful. Thank you for sharing this! I have a list of fiber rich fruits Id like to try and make a syrup. The kids will love this for sure.